There’s no doubt that the public are beginning to come to terms with the problems caused by our waste. Woolworths and Coles recently banned single use plastic grocery bags, and with China cracking down on imported recyclable rubbish, recycling has become increasingly important for Australia. When recycling is collected, collection companies must limit waste contamination to 0.5% if they wish to export it. Many companies report that the waste they’re collecting has up to 18% contamination so it’s clear that we could be recycling more effectively. Here are 8 common mistakes to think about when disposing of your recycled goods. One of the most important things we can do to ensure we are recycling as effectively as possible is to remove any food waste from our recyclables. Generally, the more clean, dry and empty recyclables are, the better. Simply removing food scraps and rinsing out containers will usually be enough. Anything that goes into your recycling bin should not be able to go off, or rancid. Collection companies and sorting centres use specialised machinery to sort through waste. Generally, smaller items tend to fall through the machinery and end up in waste so it’s important to consider this when putting waste into your recycling bin. Typically, items smaller than fist-sized can’t be recycled, so stick to larger items. Again, sorting machinery and its efficiency is sometimes dependant on how rubbish is initially disposed of. Unflattened boxes can make the sorting job difficult and cause machine blockages. At the same time, flattening your boxes before putting them into your recycling bin means you will have more space. You may have known that batteries can’t be accepted by recycling companies, however, more and more facilities are refusing to take aerosols. You would be forgiven for throwing aerosols into your recycling, after all, most have recycling logos on their cans, however they aren’t always recycled. While the rules vary across the country, some facilities, especially in Western Australia have stopped taking aerosol cans due to the huge fire and explosions risk. Recycling companies don’t want to put their workers in danger. Similarly, barbecue and camping gas bottles won’t be accepted due to the hazards they pose. When it comes to batteries and their responsible disposal, local councils often have hazardous drop off-days. On the other hand, if you need a more immediate disposal, it’s best to contact our professional team. A major cause of inefficiency in recycling is due to people bagging their recyclables. If a whole bunch of recyclables are bagged together, they can’t be sorted properly and it’s likely they won’t be recycled at all. This is because most recycling facilities don’t accept soft plastics, such as bags, bread bags and plastic wrapping. 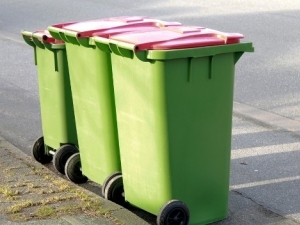 Simply putting your recyclable items straight into the bin is the best method, however, contacting local councils about soft plastic can be a good idea as there are sometimes recycling options. Paper is one of the most recycled items, but what about magazines and files that contain staples or paperclips? At the moment, paper with staples and paperclips is accepted by recycling companies but with possible restrictions looming, it might be a good idea to get into the habit of removing them. While we’re talking about paper, is there any type of paper that can’t be recycled? Textbooks, novels, glossy magazines can all be recycled. Paper that can’t be recycled includes shredded paper or used paper towels, napkins and tissues. These things should all go into general waste. Recycling is important for our local environments and the world in general. By understanding how to recycle properly and efficiently we can help recycling companies do their job and divert waste from landfill.